Breakthrough technology delivers best-in-class products with superior performance and safety. Our breakthrough technology delivers best-in-class products that are highly effective and safe. Discovered at Vanderbilt-Ingram Cancer Center, our patented technology harnesses synergistic combinations of non-toxic compounds, optimized for performance against targeted insects. 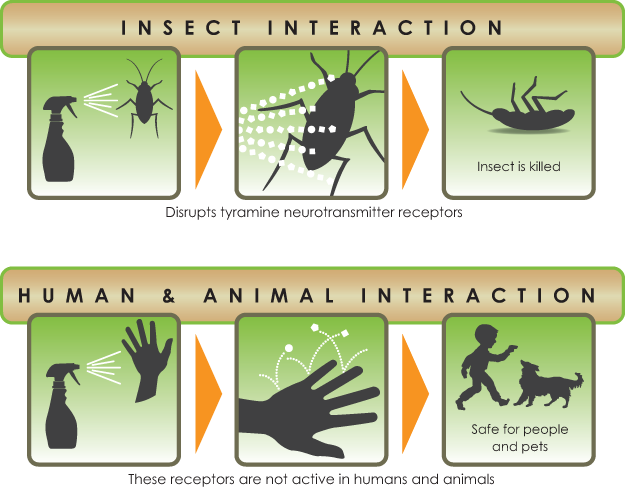 Unique combinations target specific neurological receptors only active in insects – a different mode of action than traditional insecticides. Targeted receptors are not active in humans and other mammals.